Years ago, when vacationing with the girls, I was walking some trails in the Poconos. 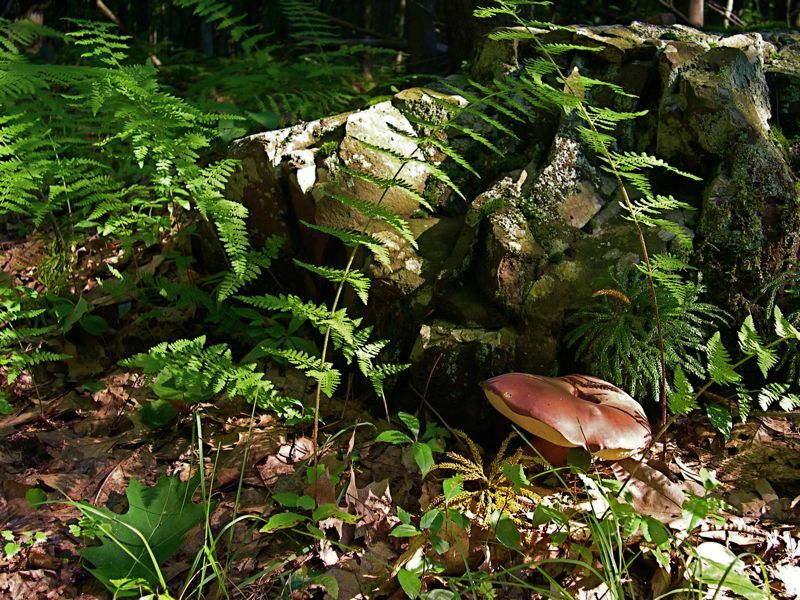 I came upon this huge mushroom and I like the way the sun was shining upon it and the surrounding ferns. Even the rock behind it was glistening. I actually had used this as a reference photo for a watercolor painting called, "Uncle Stanley's Mushroom". This is a really beautiful photo...I remember when you took this and we were all waiting for you on that forest trail and you were taking forever! I really like the light and shadows.